Congregation Ahavath Torah hosted Ezer Mizion Shabbat, for what it called its Shabbat of Heroes weekend, led by Israel’s former Ashkenazi Chief Rabbi Yisrael Meir Lau and Cantor Yitzchak Meir Helfgot. 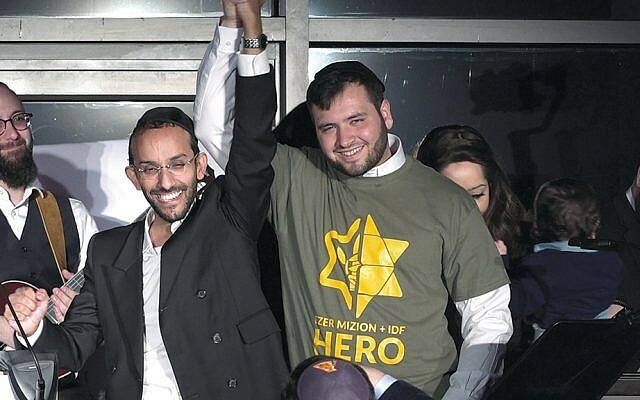 Ezer Mizion is the world’s largest Jewish bone marrow registry; the Englewood community Shabbaton honors the IDF soldiers who are in its bone marrow registry as potential donors, should they be matched. Before Shabbat started, Rabbi Lau visited the Moriah School in Englewood. The Shabbaton began with Rabbi Lau speaking at the Benaroya Sephardic Center; a private dinner with Ezer Mizion supporters followed. On Shabbat morning Rabbi Lau and Cantor Helfgot davened in Ahavath Torah’s Straus Sanctuary; the pair were at the East Hill Synagogue on Shabbat afternoon. There was musical Havdalah with Simcha Leiner that included Israeli wines, cheese, and halava from Shuk Machane Yehuda. 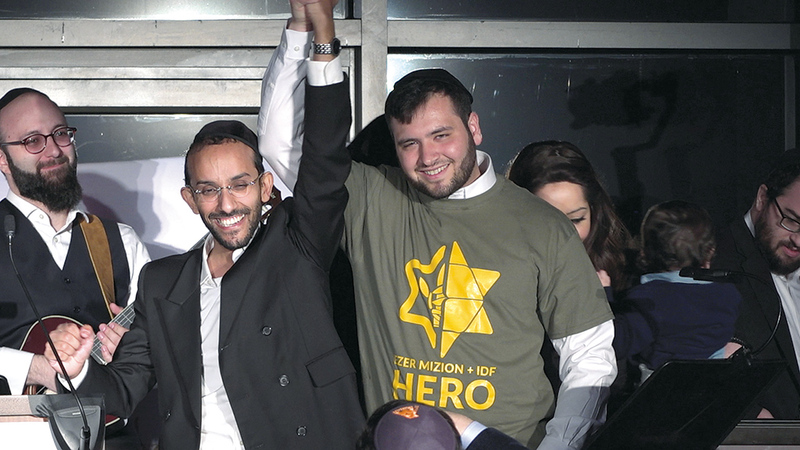 Nachum Segal, the evening’s emcee, talked about Ezer Mizion’s global life-saving mission, and Aaron Grady told his story about surviving leukemia because an IDF soldier, Avi Feingold, donated his bone marrow. Emotions ran high when the two met for the first time that night. The evening ended with the creation of the Englewood Community Donor Pool; members of the community partnered with Ezer Mizion to swab a large cohort of IDF soldiers who will be linked to the community for up to 40 years. Anyone interested in joining should go to ShabbatOfHeroes.com, or call Ryan Hyman, Ezer Mizion’s national director of development, at (718) 853-8400 ext. 109 or email him at ryan@ezermizionusa.org.